Besides the dress and the make-up, styled locks are the "mane" attraction when it comes to looking the part. With Christmas quickly approaching, here are six hair ideas that will turn heads at your next rendevouz. 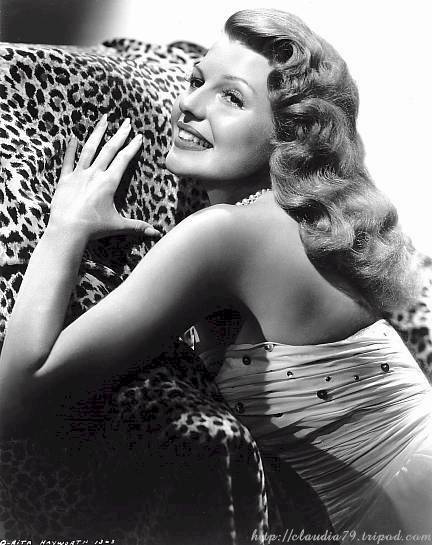 Channel Rita Hayworth or Veronica Lake this holiday in gorgeous, sleek waves. Prep your hair by applying shine serum to it when it's still wet. Start from the ends, then gradually work your way up to mid-lengths. Blow dry your hair until it's around 80% dry. Create a deep centre part (left or right depending on your preference), and apply hair rollers following the direction of your centre part. Depending on your hair texture, leave the curlers in your hair for roughly 30 minutes to an hour. Gently remove the rollers, smoothing your wave and shaping it as you do so. Comb out the waves using a paddle brush, then finish off with a light spritz of hairspray. Step 1: Start by parting your hair on the side that you feel most comfortable with. Step 2, 3, 4, 5: Section off your hair and curl your hair inwards with a large barrel iron. As you finish off each section, wrap it around your finger and secure it with a bobby pin or clip. Step 6 and 7: Once you finish curling your hair, leave it to cool for roughly 15 minutes. Remove the clips and gently comb out the waves with a large paddle brush. Structure your waves with your fingers as you go along and finish off with hairspray. This Brigitte Bardot inspired look is simple and casual, with an understated sexiness. Perfect for a casual lunch or a night out on the town. 1. To get the look, begin by applying a voluminizing mousse to your hair. Blow dry your hair smooth with a large round brush. 2. Once your hair is dry, place velcro rollers in your hair. Don't worry too much about rolling it up to the roots of your hair. The main focus is on the ends of the hair - smooth, with a slight wave. 3. Remove the rollers after 15-30 minutes and gently run your fingers through your hair. Lightly twist the ends around your finger to add more wave. 4. To add height to your crown, tease your hair with a tailcomb or a paddle brush. 5. Finish off with shine serum and a mist of hairspray.